I am delighted to tell you that my first book to be published by the Academic publisher Routledge is now available – and you can save 20% on the RRP! Click here. 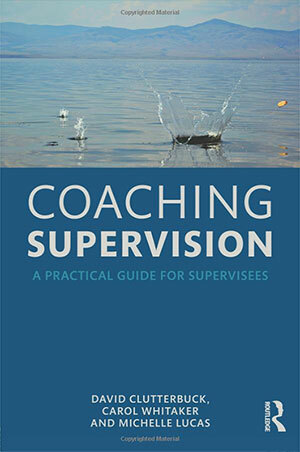 The book is entitled Coaching Supervision : A practical Guide for Supervisees. And this is a clear case of “it does what it says on the tin”! If you’d like to know a little bit more about what it covers, take a quick look at my blog. The book was a collaborative effort by myself, David Clutterbuck and Carol Whitaker. Our hope is that it lifts the lid on how coaching supervision works so that coaches can become genuine partners in the supervision process. We hope you like it! Coaching Supervision: A Practical Guide for Supervisees is an intensely practical book providing guidance on when, why and how to seek supervision, and on how coaches can make the most of the supervision they receive. This practical guide for supervisees informs and empowers the practitioner to become an active participant in the coaching supervision process. It will be vital reading for all established and trainee coaches and mentors participating in the supervision process, either as supervisors or supervisees.